In partnership with a supportive community, we inspire our students to be creative, critical thinkers and compassionate global citizens through dynamic teaching, meaningful curricula, and enriching experiences. 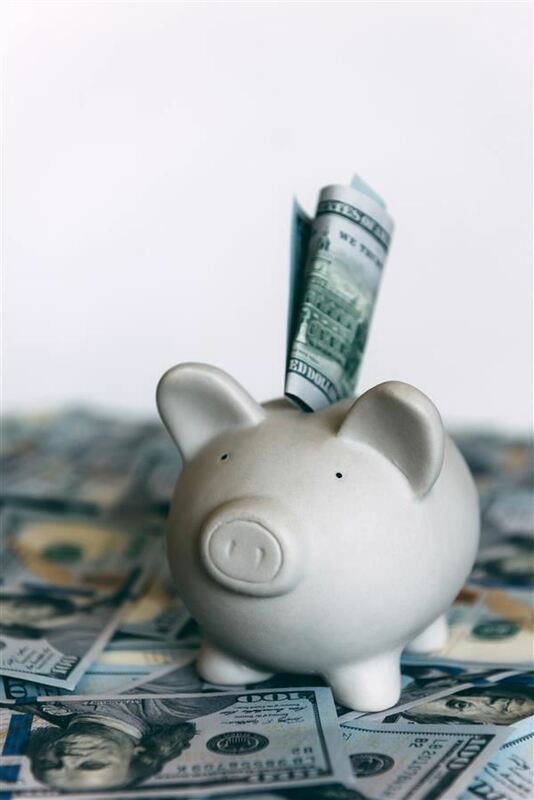 On Tuesday, April 9, 2019, Dr. Dionisio presented a budget update to the Verona Board of Education on fiscal projections to be recommended for approval on April 23, 2019. Dr. Dionisio shared his recommendations to increase staffing and programs for the 2019-20 school year. Click the link above for more information. Verona High School was recently recognized on the 2018 Jay Mathews Challenge Index in the top 1.5% of all schools in the U.S., #318 in the nation, #7 in N.J., and #2 among all conventional public high schools in N.J., our highest ranking ever. This ranking represents a significant climb from #1512, since 2016. (The Washington Post America’s Most Challenging High Schools 2016). Also worth noting, our student performance on Advanced Placement exams have improved from 5 years ago, as student access and participation in rigorous coursework has increased. Verona High School’s recognition is a testament to how well our students are prepared in grades K-8 prior to entering Verona High School. This, combined with a quality staff, curriculum, and student supports has resulted in increased student achievement. This success is only possible through the constant focus, commitment, and support of the Board of Education, administration, staff, students, and families. Click the link above to read more. Verona High School is one of 373 school districts in the U.S. and Canada being honored by the College Board with placement on the 9th Annual AP® District Honor Roll. 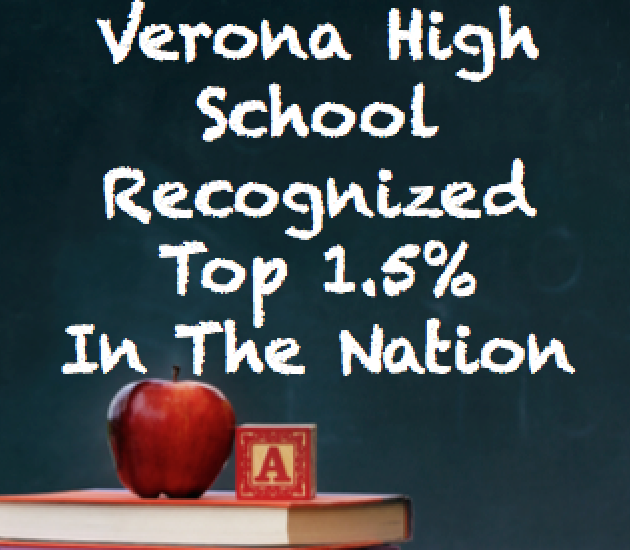 To be included on the 9th Annual Honor Roll, Verona High School had to, since 2016, increase the number of students participating in AP while also increasing or maintaining the percentage of students earning AP Exam scores of 3 or higher. Reaching these goals shows that this district is successfully identifying motivated, academically prepared students who are ready for AP. Read more by clicking the heading above. The Verona High School STEM Team Designed The Best Catapult. 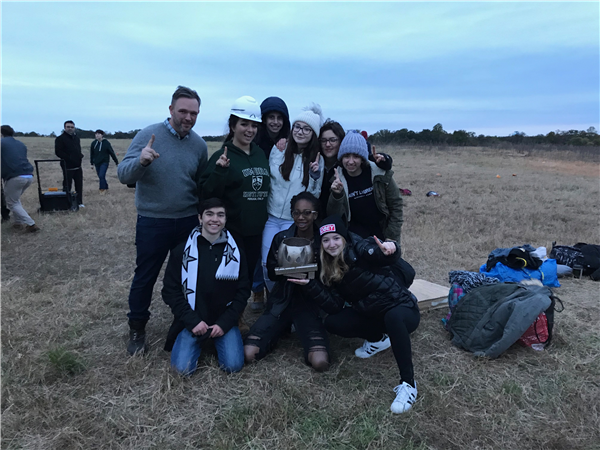 On Friday, October 26th, the VHS Engineering Team won the 16th Annual Rowan University Pumpkin Chunkin Competition. The students built a catapult that won first place overall after firing a pumpkin more than 400 feet. Check out the News 12 NJ Video here. 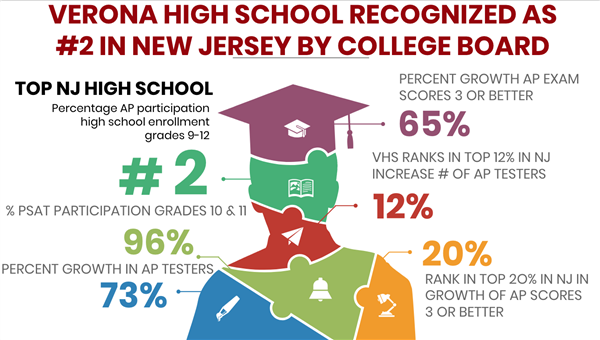 We are proud to share that Verona High School was recently recognized by College Board as a top performing high school in New Jersey. VHS is ranked #2 in New Jersey in participation in Advanced Placement exams in grades 9-12. Even more impressive, as our student participation has increased, so have our student performance outcomes. Our school district is among the top performing high schools in the entire nation. This ranking is the second independent recognition, most recently being acknowledged by NJ Monthly as the #24 top high school in New Jersey. We have much to be proud of. Click the above link to read more. The Verona Conference of SCAs presents the Verona BOE Candidates Forum. Click the link above to watch the candidate positions on Board goals and governance. On November 6, 2018, the Verona community will have an opportunity to cast an important vote that would increase funding to the Verona Public Schools to invest in full day kindergarten through a commitment to increased staffing at the elementary level. If approved by the community, full day kindergarten would begin in January 2019. 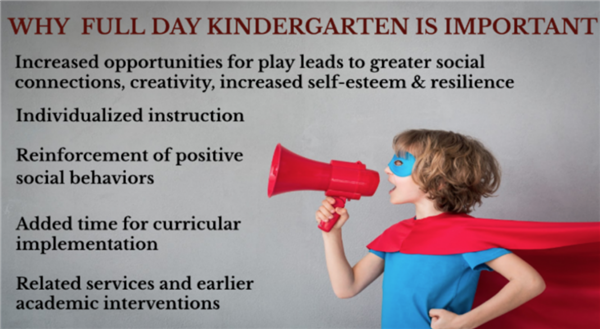 In each subsequent year, full day kindergarten would become a full year program beginning in September and ending in June. Read more by clicking the link above. 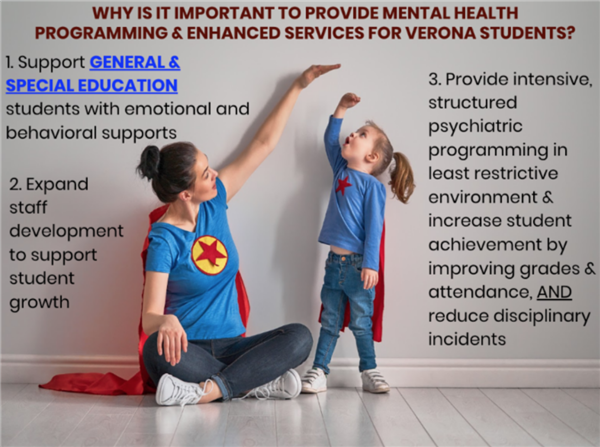 On November 6, 2018, the Verona community will have an opportunity to cast an important vote that would increase funding to the Verona Public Schools to invest in social emotional learning by increasing mental health programming and professional staffing at the elementary, middle, and high school level. Read more by clicking the link above. For your viewing and downloading: We invite you to please enjoy video of the VHS Class of 2018 Graduation Ceremony. We wish the graduates our very best as each pursues his or her dreams. Since this past summer, the VHS French Club, along with our French teacher Mrs. Mordkovich and myself, have collaborated with Mr. Evans Auguste in the development of a library collection for the St-François Xavier School in the town of Ouanaminthe in Haiti. During the past 2 months, we have been leading a book drive to benefit Haitian students ages 6-12. Books in English, Spanish, and French were donated to the cause. Additionally, our music teacher and band director Mr. Lynch, along with the Verona Music Department, collected instruments and other music equipment for École St-François Xavier’s music program. Please click the above heading to read the full press release. The following New Jersey Department of Education May 29, 2018 School Self-Assessment for Determining Grades under the Anti-Bullying Bill of Rights Report Crd for the 2016-17 academic year has been published by the NJDOE for the Verona Public Schools. The report card is established by self assessment data at each district school by the school safety team comprised of administration, school safety specialists, teachers, staff, and parents. Please click the above header link for more details and access to the report card. 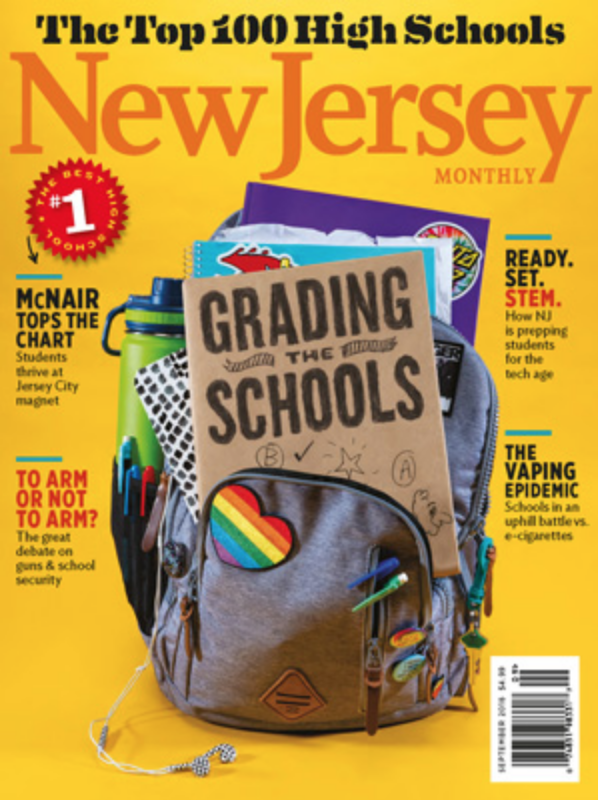 The New Jersey Department of Education (NJDOE) has made an error in their communication with public schools as it relates to NJ high school graduation requirements and the Partnership for Assessment of Readiness for College and Career (PARCC). This error is impacting public schools across New Jersey, not just Verona High School. During the 2016-2017 school year, the NJDOE provided schools with a chart for graduation requirements as it relates to the State standardized assessment (PARCC). The chart of graduation requirements was included in our PARCC parent letter that we sent to parents in March 2018. On May 11, 2018, the NJDOE posted on its website that it had changed the Class of 2020 graduation requirements chart (see page 9 in the PARCC parent letter). On May 18, 2018, the NJDOE sent a clarifying email on this matter to all public school districts. Please click the above link for more details. On October 9, 2018, Mr. Miller, Director of Curriculum, Instruction, and Assessment, presented the spring 2018 PARCC results in ELA from grades 3 to 11 and in mathematics from grades 3 through Algebra II. On September 25, 2018, we celebrated the accomplishments of our dedicated and hard working AP students. Mr. Miller, Director of Curriculum, Instruction, and Assessment, and Mr. Cogdill, VHS Principal, presented AP Highlights and Scholar Awards for the 2017-18 school year to a packed audience. Congratulations to all of our AP Scholars! June, 2017 – The Verona School District has announced it has information available for citizens interested in running for a vacant seat on the Board of Education. The Board of Education 2017-2018 Budget presentation that was presented on April 25, 2017 Public Hearing, may be reviewed by clicking the above heading. On Saturday, January 11, 2017, over thirty 4th and 5th graders participated in the annual Junior Woman’s Club of Verona Spelling Bee Competition held at F.N. Brown Elementary School. A special thank you to our judges, Mrs. Cheryl Ashley, Director of the Verona Public Library; Mrs. Corisa Walker, Library Media Specialist at F.N. Brown and Brookdale Avenue School; and Mr. Charles Miller, Director of Curriculum who kindly volunteered their time for the morning. Thank you to Diana Weeks and Joanna Rybak from the Verona Juniors who organized the event. Finally, thank you to Verona Juniors President, Erika Grothues, who announced the words. Verona Foundation for Educational Excellence (VFEE) is proud to announce a Special Grant awarded to the Verona Public Schools in support of the District Wide Google Initiative. In 2015, VFEE granted $75,000 over the course of three years to support Chromebooks in our Classrooms. $25,000 was awarded at the Verona Board of Education meeting on September 8, 2015. VFEE will provide $25,000 per year for the next two years making the Google Initiative Grant the largest award by VFEE since its inception in 2007. The Curriculum, Instruction, and Assessment department consisting of Director of Curriculum, Mr. Miller, Supervisor of Humanities, Dr. Bangia, and Supervisor of STEM, Mr. Stevenson, updated the Board of Education and the public with the latest information regarding Verona's curriculum, instruction, and assessment. 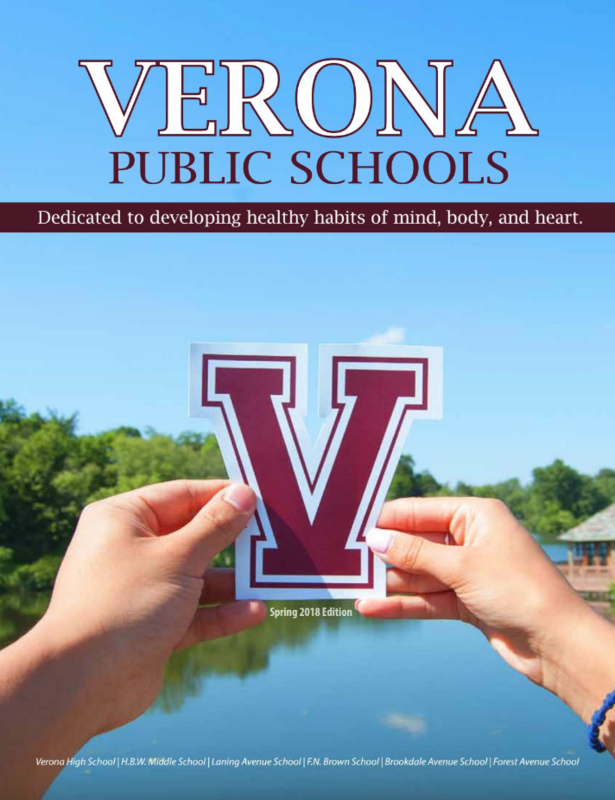 The Verona Public Schools district is dedicated to cultivating learning environments that nurture the curiosity that exists naturally in children. It was clear from teacher feedback that last year’s inquiry-based science pilot program fostered a high level of student engagement. The new science program, developed with support from the Smithsonian Institute and National Academies of Science, is being implemented this year in our elementary and middle schools with the goal of increasing student engagement and improving student knowledge of scientific processes. December 8, 2016 The Star Ledger recently published an investigative article on Field Turf regarding a product called Duraspine used to construct athletic turf field fibers. Field Turf has advised the Verona Public Schools that the new athletic fields being installed in our community are not made with this material. Attached are two letters from Field Turf providing detail on the matter and confirming that the Verona Public Schools is not impacted by this situation. Please click the Field Turf tab above this text to view the correspondence. Mr. Arthur Acquaviva, known as “Mr. A” to staff­ and students, was a valued and trusted member of the VHS family. Art was named Library Media Specialist in 2000. During his tenure, he was responsible for leading the effort to transform our library into a 21st Century learning facility. Earlier this year, we received news that Mr. Acquaviva made a significant donation to Verona High School in the amount of $266,042. In accepting this generous contribution, the District will be renaming our library the Arthur Acquaviva Learning Commons. The donation provides funds to continue Art’s desire to enhance VHS with a 21st Century space, infusing the learning space with new and flexible furnishings to meet our student and faculty needs. Additional funds provided by Mr. Acquaviva will be allocated for a scholarship fund for Verona High School graduates. The Verona Board of Education and the Verona Township Council conducted a joint meeting on October 24, 2016 at the Verona Community Center to discuss important highlights specific to each organization. The Board of Education discussed the District Strategic Plan, Academic Progress, Commitment of our Staff, and Building and Facility Improvements. The Township Council provided information on Recreation Updates, Shared Services, and PILOT agreement discussion. Beginning October 2016, Verona High School instituted a new and unique fundraising effort that will raise funds to upgrade the VHS ­fitness center facility with new equipment while also enhancing the paver dedication walkway on the Thomas J. Sellitto Athletic Field. Please see the attached press release for more information.